Maker Faire is fun. Maker Faire is creative. Maker Faire is open and collaborative. And, perhaps most importantly: Maker Faire is the future. Whatever engineering is going to be and discover and create in the next century is likely to come out of the maker movement. 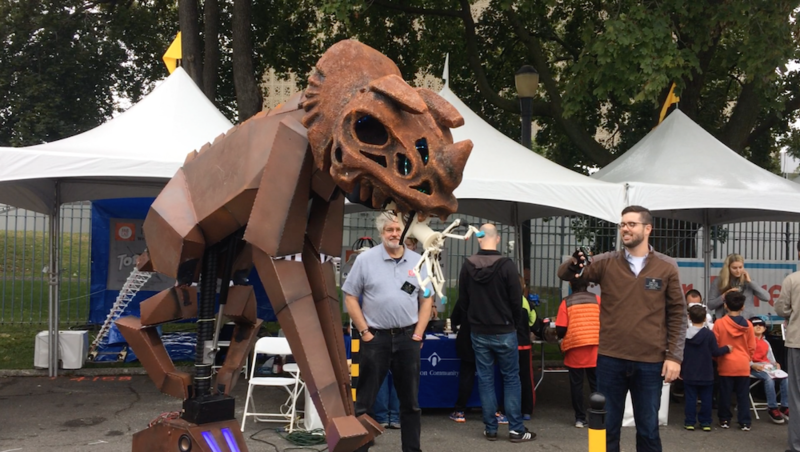 That’s why every year World Maker Faire feels more and more like the future of engineering, while other industry events like the Design Automation Conference and Embedded Systems Conference feel more and more like the past. 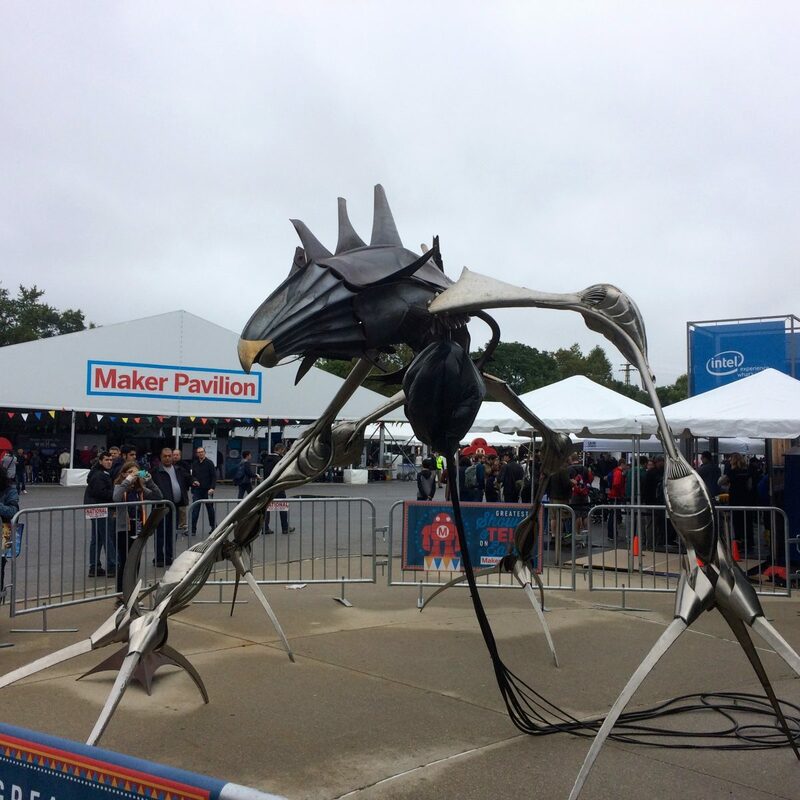 Perhaps because they’ve begun to sense this change in the tides, this was the first year three of the largest electronics distributors had an official presence at World Maker Faire. Mouser, Avnet, and Digi-Key all had booths at this year’s Faire, complete with displays and demos and product offerings selected to appeal to makers. They appear to still be trying to understand the maker space: figuring out what they have to offer the maker community and how best to provide what makers want and need. They’re learning to speak the maker language (which is as least a different dialect than the one they’d use when speaking to traditional engineering professionals. You don’t approach a maker by saying: “We’re here to help you reduce your BOM cost and minimize your supply chain risks.”). These companies are trying to meet the makers where they are and lower their barrier to entry (and the price point) of electronics engineering to appeal to the newcomer who wants to play with sensors and make LEDs light up, while also having something for the veteran maker who’s ready to go much deeper and start looking at some data sheets. Avnet, Digi-Key, and Mouser are also attempting to build a bridge between the hobbyist do-it-yourselfer and the professional electronics engineering world. Being “on the ground” at World Maker Faire, it’s easy to see why such a bridge is vital: any one of the independent makers showing their project at a tiny booth in one of the corners of a tent could potentially be the next great startup success – with the right tools, support, and connections. The eight-year old who happily built a racing insect robot today is going to be ready for something much more complicated next year. And the year after that. And the year after that. Eventually, they’ll have had their fill of blinking-LEDs demo board gateway drugs and be ready for the hard stuff. The electronics engineering world needs to be ready. These maker-engineers of the future are a different breed. They’re not following the typical “I was good at math in middle school, so now I’m going to major in engineering in college” path. So many of the makers we spoke to at this year’s Faire began explaining the project to us by saying something like: “Well, I’m not an engineer, but…” and then went on to detail all the difficult technical problems they had to solve and complex solutions they had to design and build in order to make this project that they were incredibly enthusiastic about. The makers and mentors staffing the Arduino booth are very aware of this different approach to engineering. They talk about their success with young people who are either unexcited about or intimidated at the idea of learning to code, but really, really want to make a light-up dress that changes color when they spin around in it. So they learn to code and build and whatever else they need to do to create what they imagined. Passion and project first, technical skills second. Engineering education that can meet people wherever their passion and enthusiasm is and help guide them to the expertise they need to accomplish their goals is what’s going to bring the new generation into the engineering fold. The attrition rates in college engineering programs and the lack of new blood in the electronic engineering world is a problem, but the maker movement will provide the solution.